When building a roof for your home, a pitched roof is a common option, especially in climates that see a lot of rain throughout the year. But how can we change the classical notion of sloped roofs to help them earn a place in leading-edge architecture? 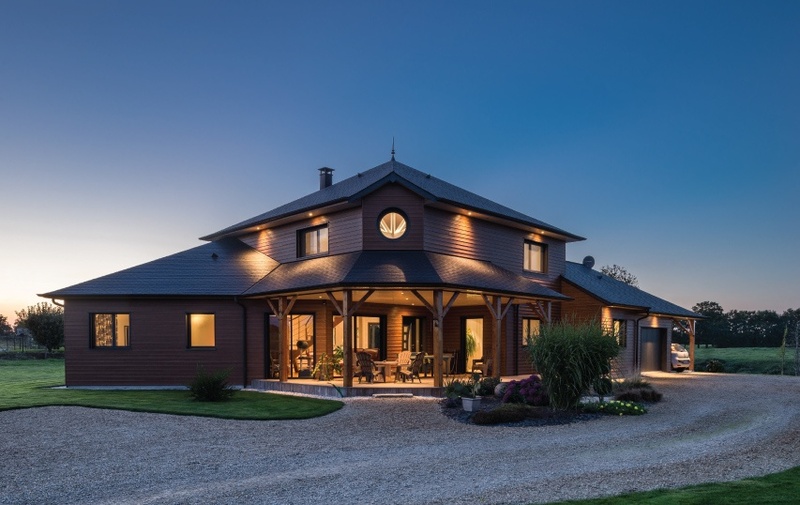 These 10 examples will show you why pitched roofs are here to stay! This house has different sloped roofs to allow the rain and snow slide off, but without giving up to a modern style. 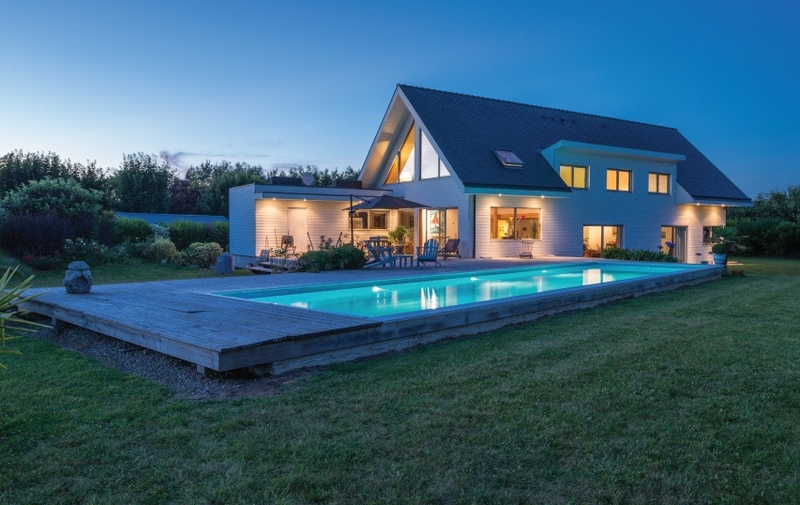 The pitched roof on this stunning house gives it a very contemporary look. 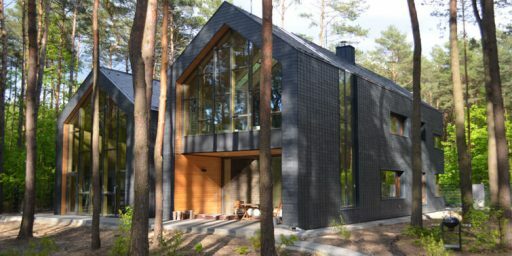 This roof maximizes natural light inside while enabling snow and rain to drain off at the back. 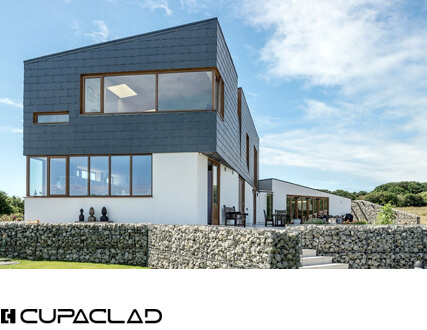 The natural slate pitched roof on this modern house keeps the front of the home bright and provides slightly more privacy at the back. 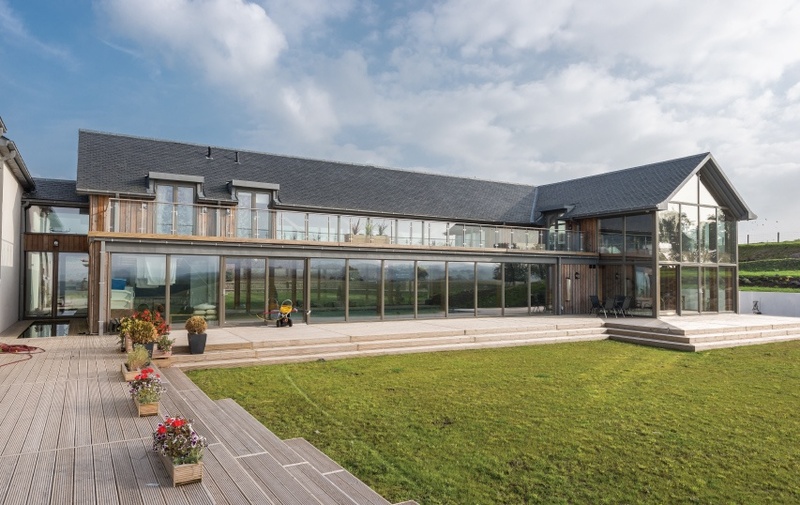 The sloped roofs in slate on this modern home were designed to take advantage of the path of the sun to maximize brightness, and to make the interior of the home feel bigger and brighter. This roof opens up the back patio and give it a large, airy feel perfect for hosting family and friends. 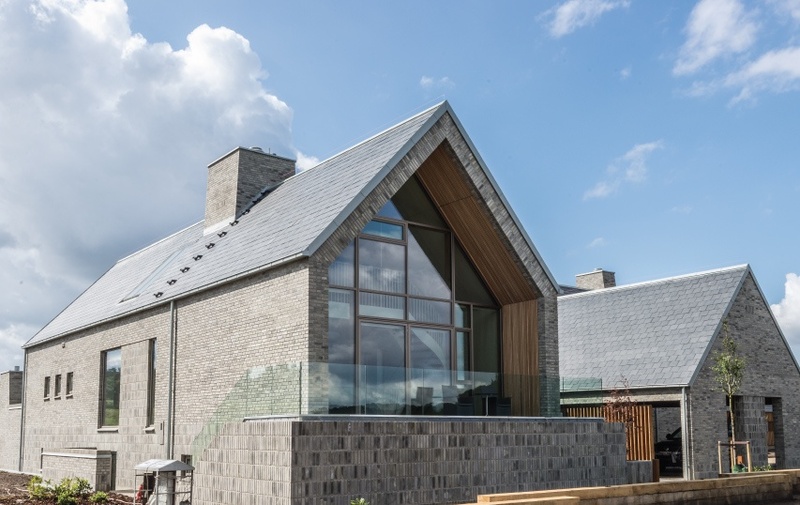 To avoid the look of an overly classic mountain cabin, the pitched slate roofs were designed to match this stone a wooden cladding, in order to create this modern mountain escape. 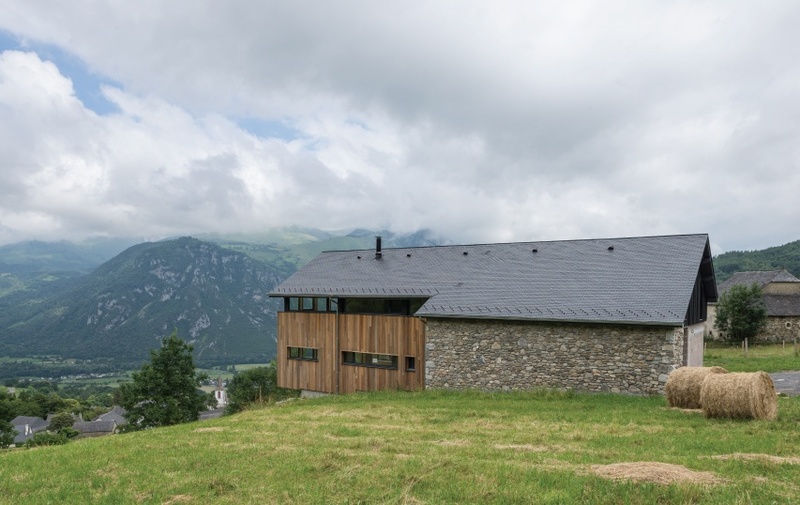 This cabin located in French Pyrenees features our CUPA 10 slate and THERMOSLATE, our natural slate solar system. 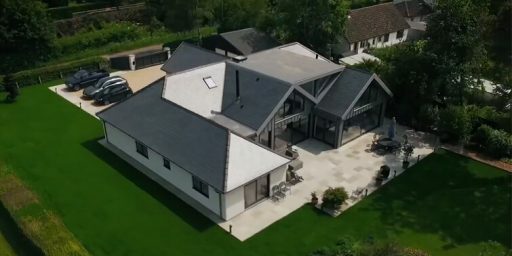 The natural slate sloped roof on this home makes the most of winter sun that helps to passively heat this family house. 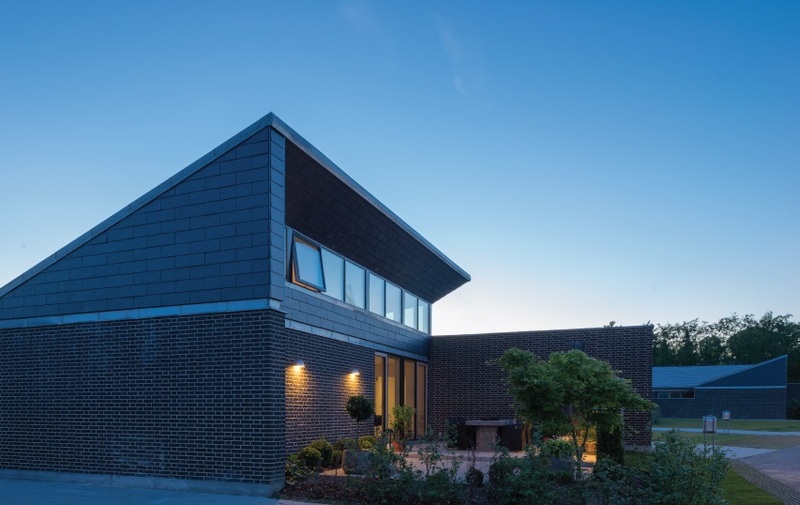 This house featuring our Heavy 3 natural slate is located in the UK. 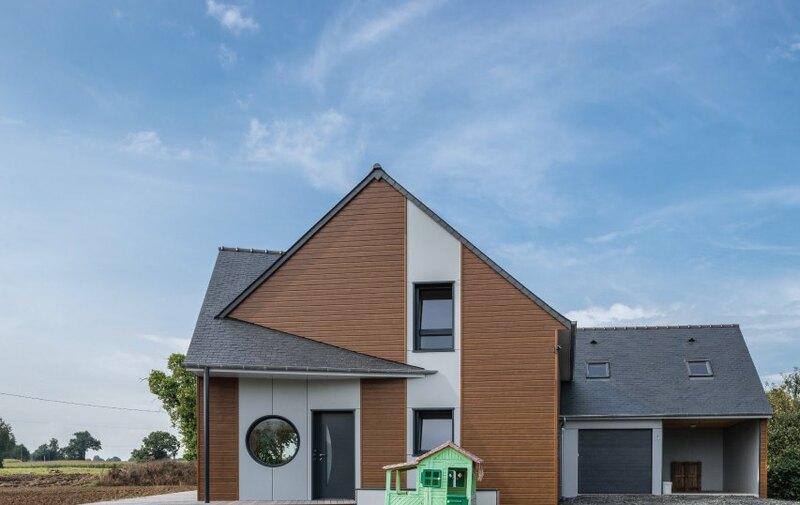 The slope of the roof on this house allows the natural slate solar panels to take in as much energy as possible, which helps this family to save up to 60% of its energy bills. 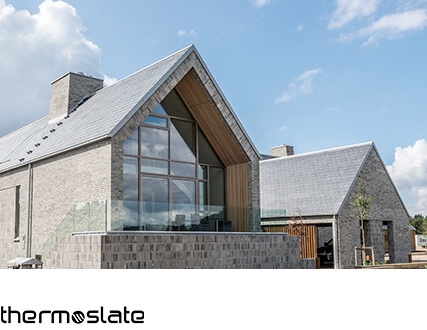 This Danish family home has a THERMOSLATE system placed on the roof. 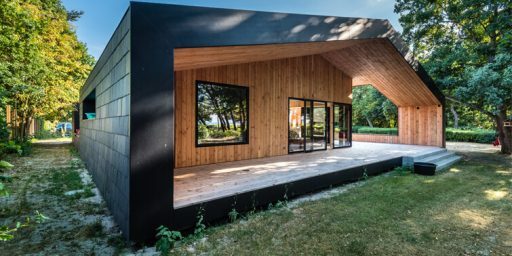 The large sloped roof on this wood-clad modern home provides both a sense of privacy and opens up the house to allow to take advantage of the plants around it. 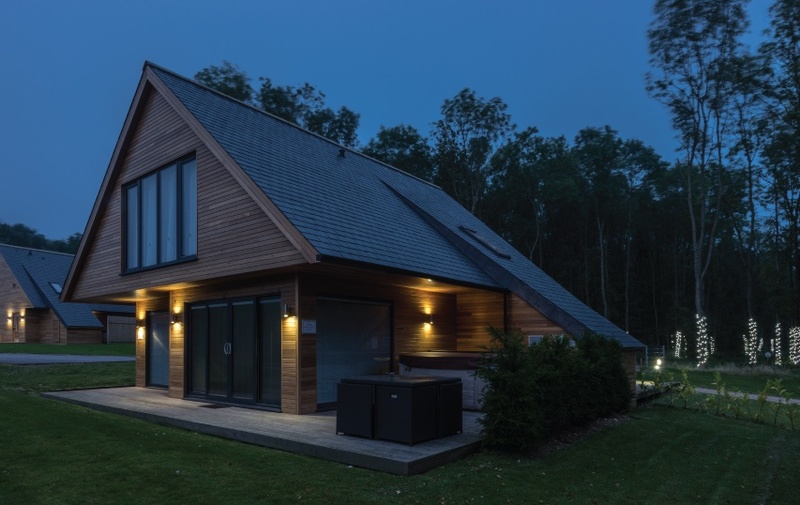 Country Lodges (UK) featuring our CUPA 12 natural slate. 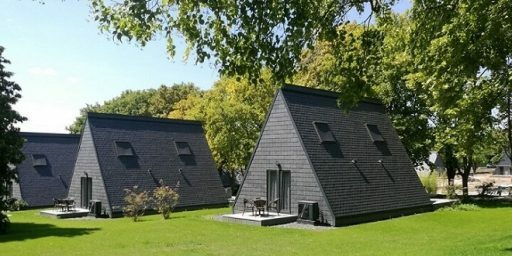 The sloped roofs on this modern house match the rest of the lines used on the exterior to create a futuristic looking home. 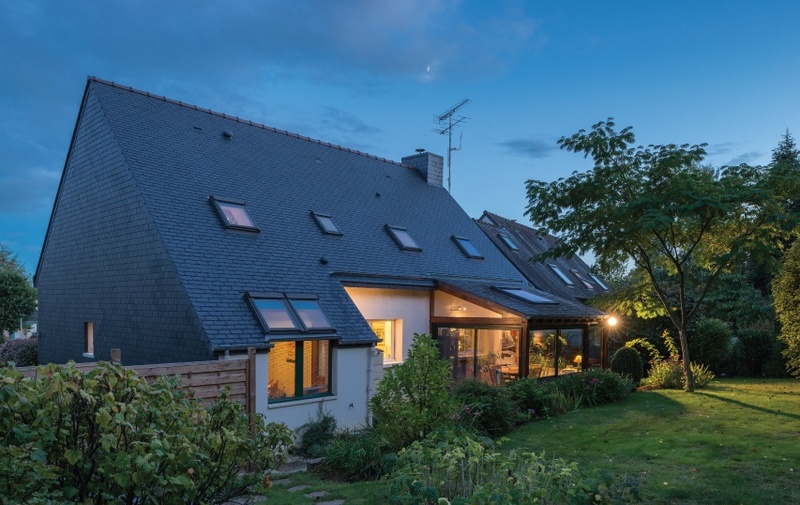 Family home located in Les Vallées, France, with a contemporary natural slate roof. 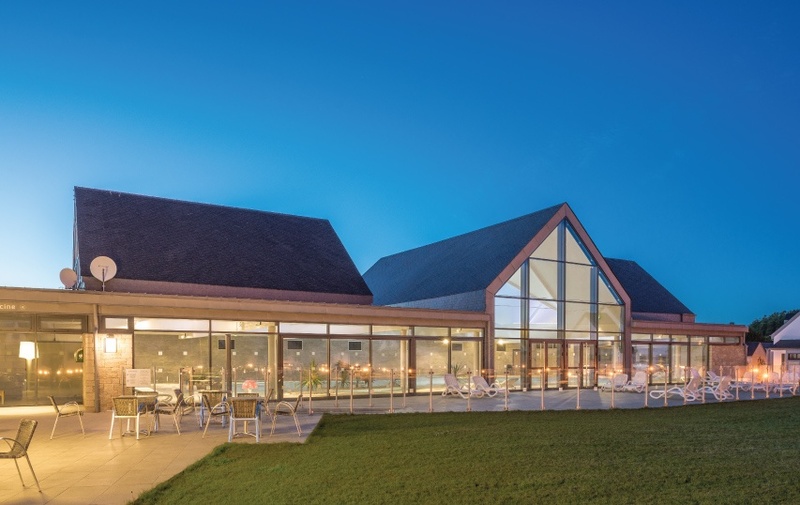 The pitched slate roofs on this contemporary residential complex opens up the front of it to provide views of the landscape and allow as much natural light in as possible. Slate adapts to any project, always providing considerable added value. 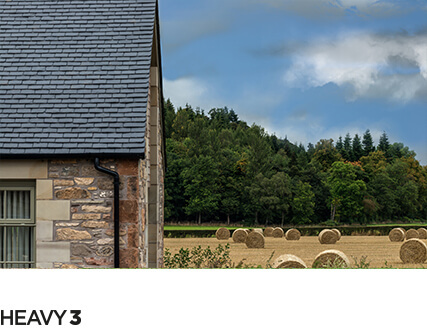 It gives any roof an inimitable, timeless, unchanging appearance. Its elegance and personality confer a unique character. Besides, natural slate pitched roofs last far longer than other ones. 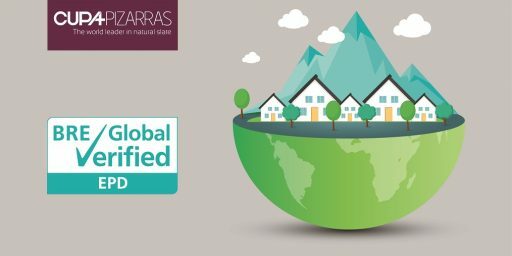 They are built to be more durable and can withstand a wider range of weather conditions, meaning you won’t have to worry if your climate is full of heavy rains and snowfalls throughout the year. 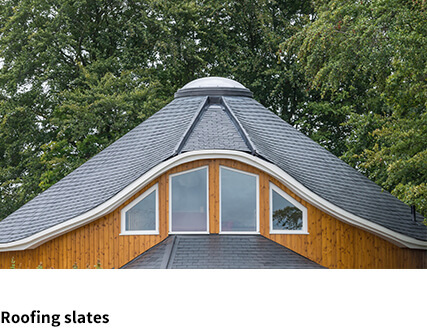 Get here some more info about roofing slates! 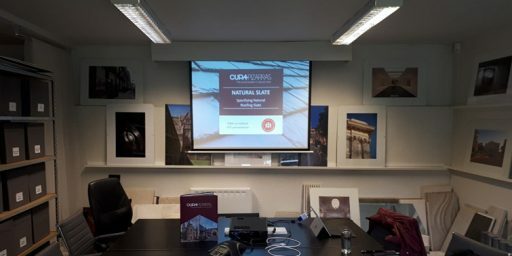 Download our general brochure.